Everest growing day by day as the certifier of several successful computer accessories in the world, Gamer is also not ignored. 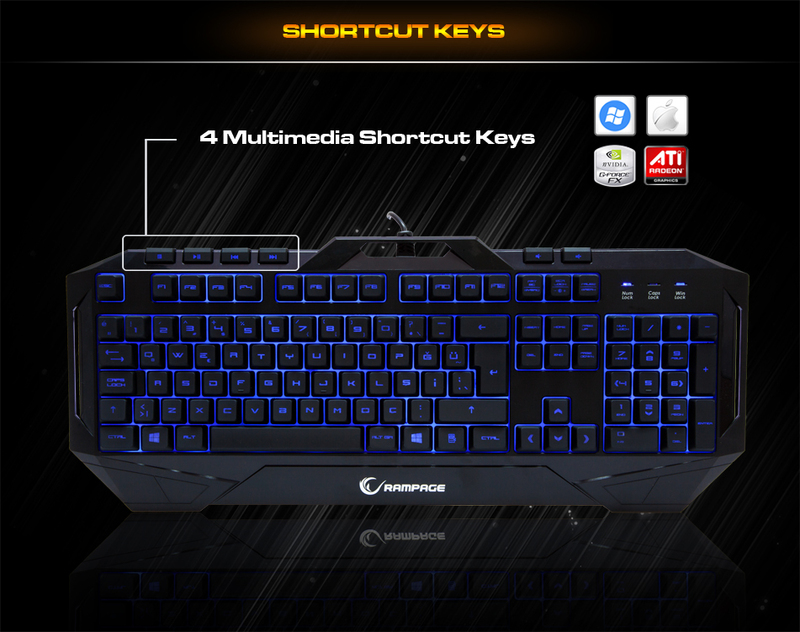 Rampage KM-R7, gaming keyboard has a classic view from the outside. During the game, the players are fully enjoying the games and play with mechanical soft keys to enjoy. 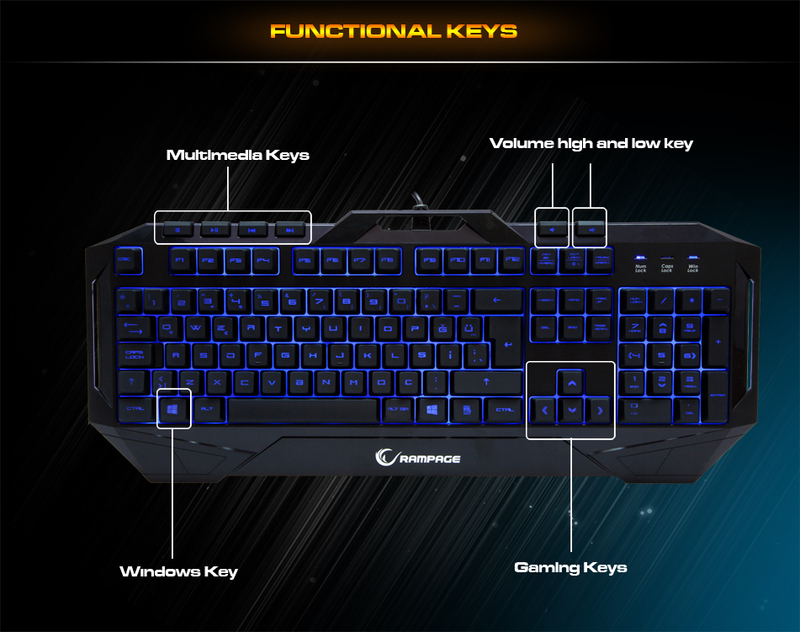 Everest Rampage KM-R7; All operation will be managed from one place through functional keys. You will have no problems while playing games with windows key. 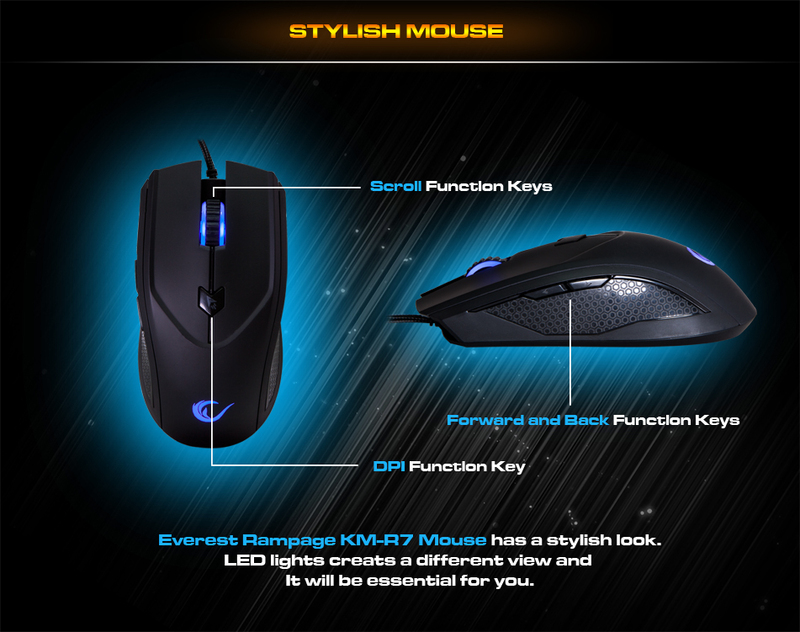 Everest Rampage KM-R7 mouse has stylish look. LED lights create a different view and it will be essential for you. Everest Rampage KM-R7; According to long-time use comfortably designed with care so as not to strain your hands. 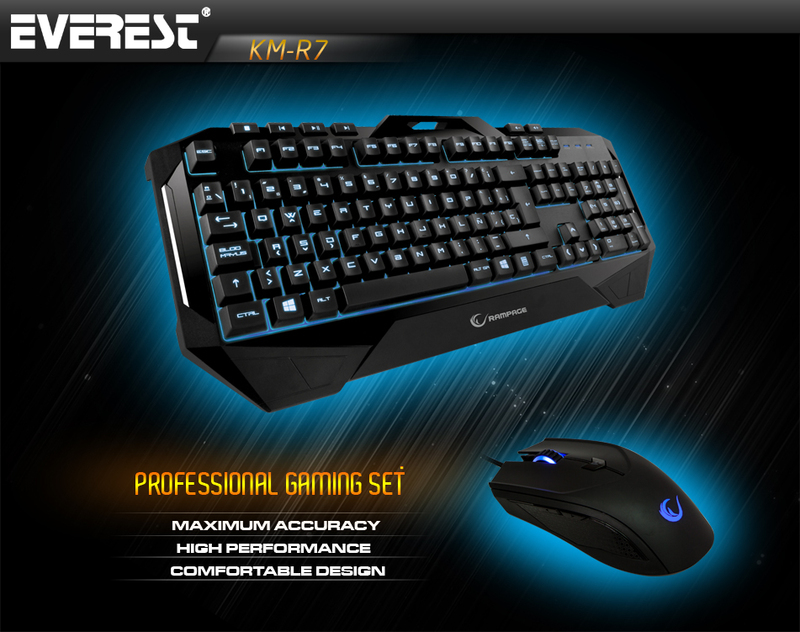 Everest Rampage KM-R7; It allows you to deal with your process quickly and easily through the 4 multimedia key. Multimedia keys will save your time. 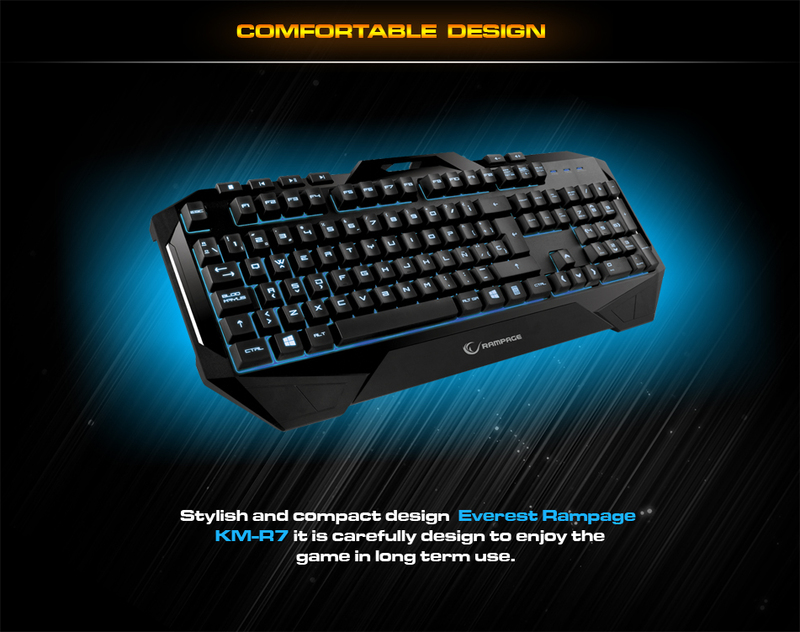 Everest Rampage KM-R7; You can play games comfortably in the night with the blue gloom light. 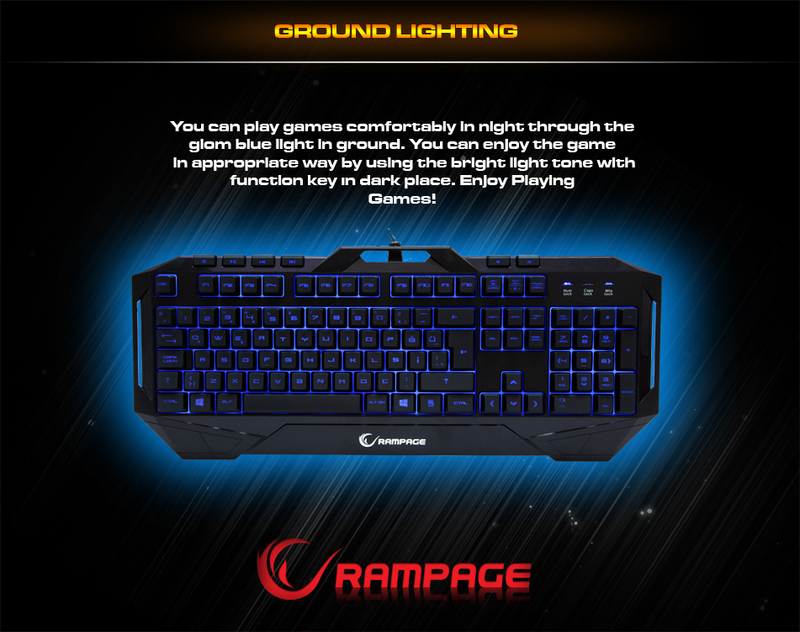 You can enjoy the game in an appropriate way by using the bright light tone with function key in dark place. Enjoying play games.